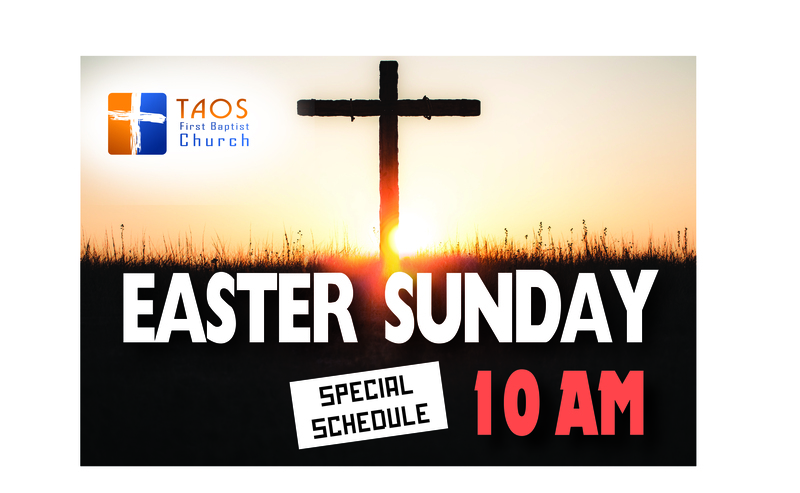 You are invited to join the Taos First Baptist family for the celebration of the resurrection of Jesus Christ. We will have a special day of music, fellowship, and the preaching of God’s Word. We’ll start the service earlier than usual so that we can dismiss by 11:15 AM, giving you plenty of time for family and community activities.